Do you judge the intensity of the incident by looking at the crowds and their reaction ? Today, the traffic was free flowing – not even the regular traffic snarls – those inside were not serious – some joking and laughing… it was clear by their reaction that it was a mock exercise and nothing more. 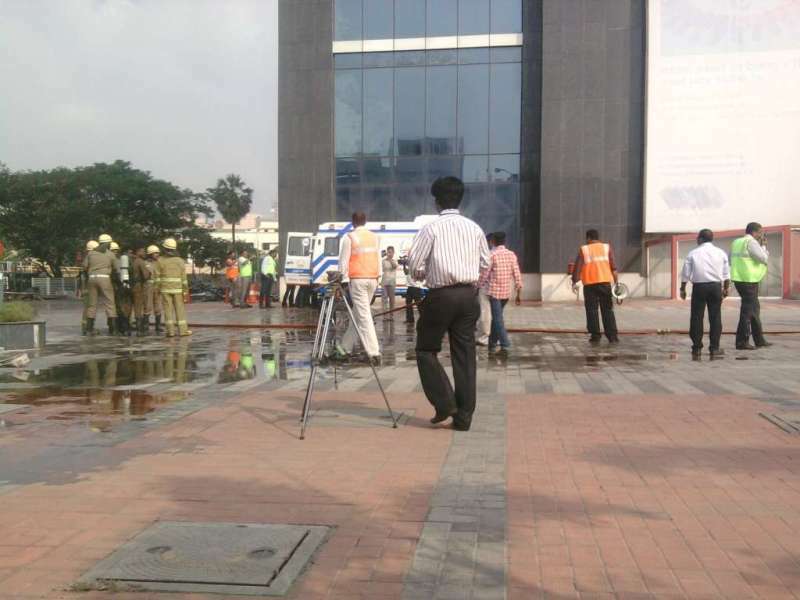 Last time, when there was actual fire there was felling that people / authorities were not exhibiting that seriousness that ought to be exhibited. When there is fire, before investigating into its intensity, people should be evacuated, outsiders should not be allowed entry – all gates should be kept open allowing free passage of vehicles and persons inside to get out and go farther. Sometimes, mock drills become more of a mockery with people becoming too casual and the intention ‘that of checking whether the contingency plan is appropriately in place is lost’. 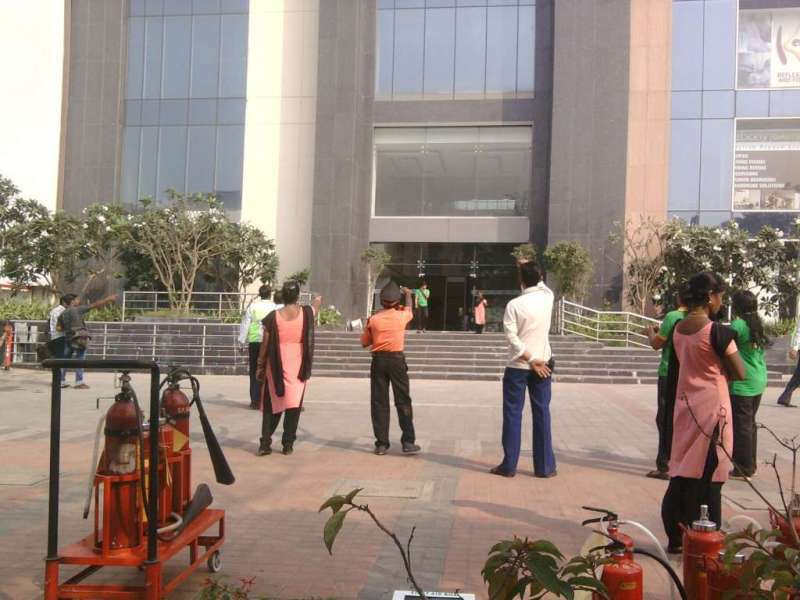 The group of curious onlookers, most of them workers in various establishments inside the mall……. Were too casual and perhaps the exercise was not being carried with the rigour that it deserves. This is no cynical comment but… one has to be serious in whatever one does…..
Viswaroopam has hit headlines more than Verma committee report ! or anything else….. One may not like Kamal but cannot ignore him… his fans often say that he is International… and that is showing truly now. The available info suggests that the plot of the film is about an Afghani Al-Qaeda, his accomplice and their international terror network, plotting to attack New York with a "Cesium-bomb". Vishwanath alias Wiz (Kamal Haasan), a Kathak teacher who lives with his nuclear oncologist wife, in New York getting into the act and eventually the hero turning triumphant… me for sure, would not like details of the movie being discussed. Away, when parties go to Court, they expect more of a legal solution rather than any advice for compromise….. as it frequently happens in cases like Cauvery dispute. Now there is news that the Madras High Court has postponed its order on the release of Kamal Hassan’s film Vishwaroopam in Tamil Nadu until Tuesday. While postponing the verdict, the court had also said that Kamal Hasaan would have to meet government officials and find a way out of the crisis. If the actor-producer expected the Madras high court to bring an end to the standoff, he would have been frustrated as there is no solution was in sight despite his apprehensions that the delayed release in the state would severely hit its box-office take. The Justice is quoted as suggesting that “in the meantime, consider all possibilities” to reach “an amicable settlement”. Firstpost quoting CNN-IBN reported that the court had added that it was “worried about unity of nation and law and order situation”. Firstpost opines that the film having been submitted to the Central Board of Film Certification, as is required before the exhibition of any film in India and certified should be fit for theatrical release, that should have been the end of that. No objections to the release of the film should be entertained anywhere in India. So it should be more on the legality rather than the sentiments. But whether in the first place, the Censor Board allow something which would hurt the sentiments is another moot Q ! Kamal has been dangling with hurting the sentiments far too long and that is one reason many feel that the present imbroglio is self-inflicted. There is further news that the film ‘Vishwaroopam’ has been removed from local cinemas in Malaysia a day after its release following a directive from the Home Ministry, much to the disappointment ethnic Indians here. It is reported that Sri Lanka too has ordered a delay in the release in favour of a review by censors. Tamil movies are extremely popular in Malaysia; mega Tamil films are mostly released in the same day as in India. Kanakakkunnu Palace in Thiruvananthapuram is in National news… the sprawling grounds of the Palace has been the venue for many meets. The architectural palace was built during the reign of Travancore king Sree Moolam Thirunal (1885-1924), the palace served as the main venue for royal banquets. Patriotism, quite literally, reached newer heights at this palace in Trivandrum. A mammoth national flag flutters ~ day and night atop a flagpole installed near the entrance to the Kanakakkunnu Palace. The stainless steel flagpole is more than 65 metres-tall — the tallest in the country. 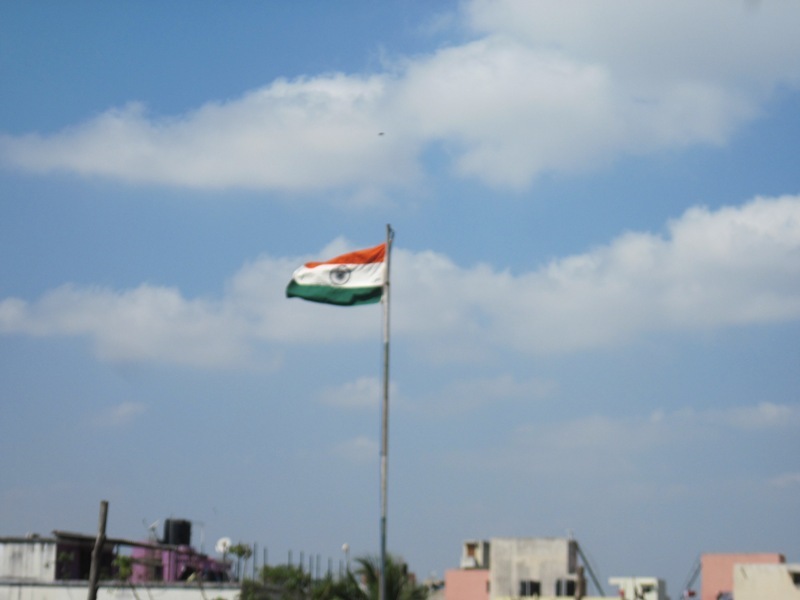 According to its spokesperson, the National flag atop the pole is 72 ft long and 48 ft wide. The flagpole is illuminated with floodlights during the night. The Government has given special permission to allow the flag to remain hoisted round the clock. Thanks to Mr Naveen Jindal, the National Flag is closer to more people now. It is reported that such ornamental flagpoles are seen only in a few countries, including Malaysia, North Korea, Abu Dhabi and Dubai. This Republic Day, it was hoisted by the Kerala Chief Minister Oommen Chandy. The 65 meters tall pole has stainless-steel mast and the flag about 22 metres long and 15 metres wide. Reports state that this was made at the request of Union Minister of State for Human Resource Development Shashi Tharoor that the Flag Foundation of India, founded by Naveen Jindal, MP and industrialist, chose the State capital for the project, which has been executed in nine other States. Mr. Jindal is quoted as saying that the flag should remind people to rise above political affiliations and remind them of their duties towards the country. Sure, your celebrated the Nation’s Republic Day at home, at your Society and in many other places. 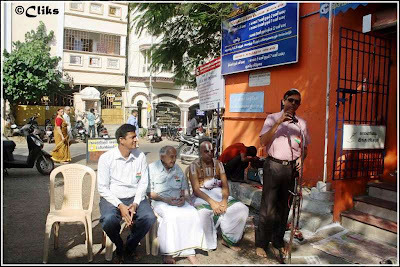 I did; here are couple of photos of the celebrations we had at Vijay Avenue, Venkatrangam Street, Triplicane, Chennai 600 005. We had a much bigger celebration at SYMA Medical Centre. The flag was hoisted by a nonagenarian Mr Mandayam Parthasarathi, 95 years bubbling with enthusiasm. There is rich history of freedom struggle associated with this great person. Will sure follow with a detailed post on him and the services of their family in the National struggle for freedom. 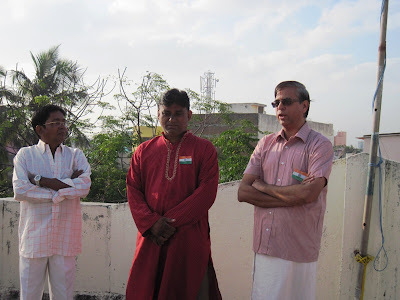 Dr MA Venkatakrishnan Swami was another Chief Guest on the occasion. sometimes, some keywords enthuse you ~ but you end up nowhere. A tragic incident widely reportedly made me trail ‘Minuano Indians’. Minuano reportedly is a cold southwesterly wind blowing in the winter (June through September) in the coastal region of southern Brazil, the country of the Minuano Indians. but, where from the Indian connection, I could not decipher…… the sad news is of more than 245 people dying in a fire. We have read about devastating fire accidents and most of them related to destruction of property, here it is of invaluable human lives… far away in Brazil. Santa Maria is a municipality in the central region of Rio Grande do Sul, the southernmost state of Brazil. In 2007, its population was 263,403 inhabitants in a total area of 1,823 km2. Rio Grande do Sul, which I understand means ‘Great Southern River’ is the southernmost state in Brazil. This place is in news for wrong reasons and the tragic accident made Brazilian President Dilma Rousseff cancel her trip and head back to Brazil. The President was reported to be close to tears as she spoke to reporters on the sidelines of a summit of Latin American and European leaders. Press reports suggest that Ms Rousseff is now travelling to the city of Santa Maria where the tragedy took place at approximately 2 a.m. local time, when the Kiss nightclub was crowded with more than 1,000 customers. 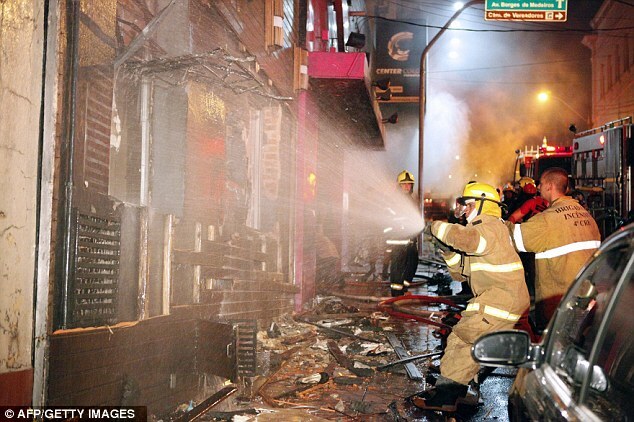 Globo quoted firefighters as saying the blaze was apparently caused by sparks from faulty sound and light equipment. Official cause unknown, but reports claim it was caused by a firework during a band performance. They said most of the deaths were caused by smoke inhalation, but some people may have died as customers rushed in a panic for the club's sole exit. Officials of Rio Grande do Sul, called the tragedy the worst of its kind in the state's history. Initial reports were that 90 people perished in the blaze, but firefighters quickly updated the figures as the extent of the fire was revealed. There are fears that death toll still unknown and may be higher as more bodies are pulled from wreckage while hundreds more are expected to be injured. 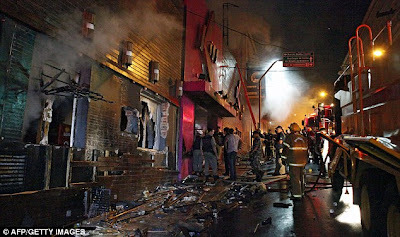 Reports suggest that people ran to safety and try to rescue others after the massive inferno tore through the Brazil nightclub. Reports suggest the name of the place as Kiss club in the city of Santa Maria, 550km from Porto Alegre, southern Brazil, while a band was performing. 'Sad Sunday', tweeted Tarso Genro, the governor of the State. There have been deaths in some other fire accidents in night clubs, but the death toll here is reportedly the highest. 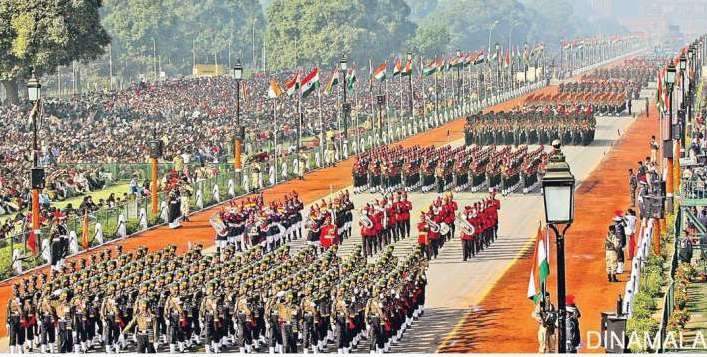 26TH January is a very important day for the Nation ‘Republic Day’ of the Nation. Republic is from latin ‘res publica’ which could be translated as ‘a public affair’. What many may not know is today is the day when the Indian Tricolour was first unfurled in January 1930 at Lahore, by Pt Jawaharlal Nehru and the declaration of an independent Indian National Congress was made. The seeds had been sown at the Lahore session of the Indian National Congress at the midnight of 31st December 1929 held under the presidency of Pt. Jawarhar Lal Nehru. Those present in the meeting took a pledge to mark January 26 as "Independence Day" in order to march towards realizing the dream of complete independence from the British. The Lahore Session paved way to the Civil Disobedience movement. It was decided that January 26, 1930 would be observed as the Purna Swaraj (complete Independence) Day. The transition of that dream was fraught with many hurdles, the declaration of Swaraj made on that day was etched in the memory of all patriotic Indians. Today, Nation honours the Soldiers who have performed outstanding deeds of bravery and selfless sacrifice by awarding bravery medals: Param Vir Chakra, Vir Chakra and Maha Vir Chakra. Children are also honoured with National Bravery Awards for the highest degree of valour and selfless sacrifice. 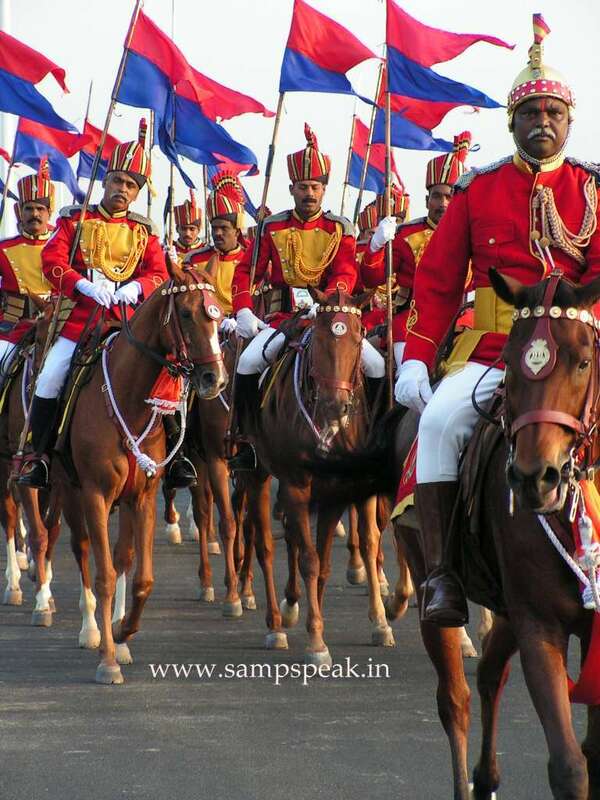 In India, Republic Day commemorates the date on which India gave to itself a Constitution replacing the Govt. of India Act of 1935 as the governing document. After independence, laws were based on modified colonial Govt. Of India Act 1935 – a draft Constitution was prepared by the committee and submitted to the Assembly on November 4, 1947. The Assembly met, in sessions open to public, for 166 days, spread over a period of 2 years, 11 months and 18 days before adopting the Constitution. After many deliberations and some modifications, the 308 members of the Assembly signed two hand-written copies of the document (one each in Hindi and English) on January 24, 1950. Two days later, the Constitution of India became the law of all the Indian lands. The Constitution of India came into effect only on January 26, 1950. Following elections on January 21, 1950, Rajendra Prasad was elected as the president of India. This was, in fact, a deliberate act, signing the constitution on January 26, to mark and respect the freedom fighters who wanted January 26, 1947 as India's initial Independence day. On the eve of our 64th Republic Day, I extend warm greetings to all of you in India and abroad. 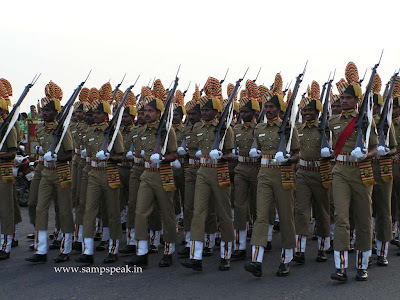 I convey my special greetings to members of our armed forces, paramilitary forces and internal security forces. India has changed more in last six decades than in six previous centuries. This is neither accidental nor providential; history shifts its pace when touched by vision. The great dream of raising a new India from the ashes of colonialism reached a historic denouement in 1947; more important, independence became a turning point for an equally dramatic narrative, nation-building. The foundations were laid through our Constitution, adopted on 26 January 1950, which we celebrate each year as Republic Day. Its driving principle was a compact between state and citizen, a powerful public-private partnership nourished by justice, liberty and equality. 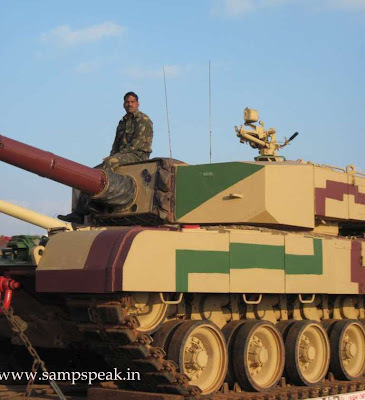 India's most impregnable asset is self-belief. Each challenge becomes an opportunity to strengthen our resolve to achieve unprecedented economic growth and social stability. Such resolve must be nourished by an avalanche of investment, particularly in better and greater education. Education is the ladder that can help those at the bottom to rise to the pinnacles of professional and social status. Education is the mantra that can transform our economic fortunes and eliminate the gaps that have made our society unequal. So far education has not reached, to the extent desired, to those most in need of this ladder. India can double its growth rate by turning today's disadvantaged into multiple engines of economic development. 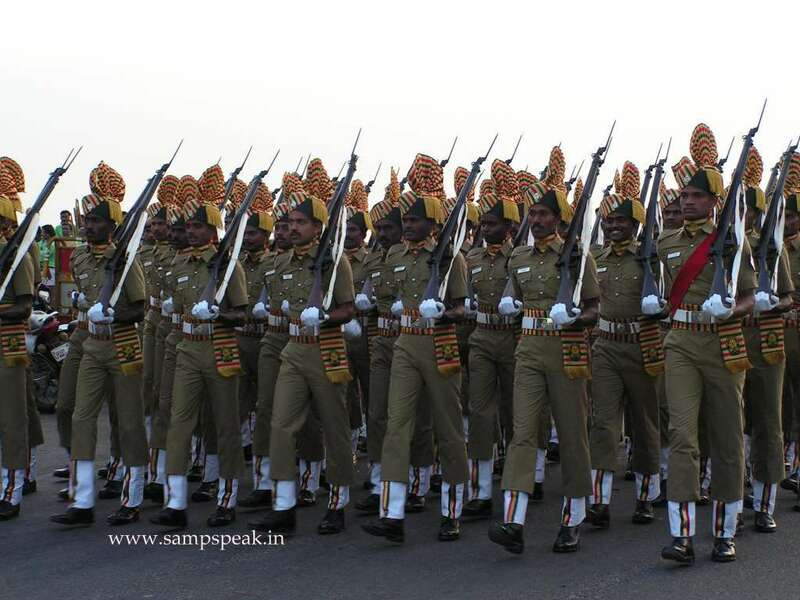 On our 64th Republic Day, there may be some reason for concern, but none for despair. If India has changed more in six decades than six previous centuries, then I promise you that it will change more in the next ten years than in the previous sixty. India's enduring vitality is at work. So may India be great "
The spirit of India is written in stone. in the service of motherland – S. Sampathkumar. Serena Jameka Williams has seen it all… has been the World No. 1 in singles on five separate occasions. She is the only female player to have won over $40 million in prize money. She has 30 Grand Slam titles: 15 in singles, 13 in women's doubles, and 2 in mixed doubles. 2013 has not been good as at Australian Open, she lost in the QF in the Singles. She teamed with sister Venus in doubles. They lost in the quarterfinals to top seeds Sara Errani and Roberta Vinci. The one who defeated her perhaps lot to bask in glory, the daunting task of beating Serena - Sloane Stephens is much younger, born in 1993. Her current rank is world no. 25. Her mother Sybil Smith is a Swimmer and her father a professional American football player. Her father John Stephens was killed in a car accident in Sept 2009, just before the start of the US Open. She has Kim Clijsters, Serena Williams and Venus Williams as her inspirations in tennis. Stephens won 3-6, 7-5, 6-4 on the Rod Laver Arena in two hours and 17 minutes dishing out high quality tennis. 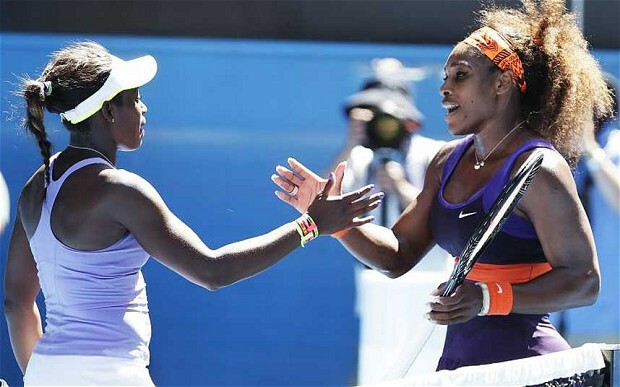 Her opponent Serena Williams, was hindered by a back spasm, still Sloane’s game stood out. Perhaps this win heralded arrival of a young talent that had been bubbling under for a while. Her campaign has ended as she was defeated by Victoria Azarenka, in a match mired by some controversy. In the other half Chinese Li Na eased her way with an easy victory over No. 2-ranked Maria Sharapova. Azarenka needed six match points to finish off a 6-1, 6-4 victory over Stephens – but the medical timeout became the most talking point. "Well, I almost did the choke of the year," Azarenka is quoted as telling an on-court interviewer immediately after the match. "At 5-3, having so many chances I couldn't close it out." Australian Open officials said the tournament doctor reported that Azarenka had left knee and rib injuries. The 23-year-old Belarusian's on-court comments after the match led to speculation about the timing of her medical timeout. She didn't help herself in a second television interview after the match that suggested the pressure of trying to close out the match was getting to her. The gamely Stephens however, didn't think the timing of the medical break affected the outcome of the match. May be we get to see more of Sloane Stephens from now on…..
Insurance offers protection and peace of mind.. for a Company it offers a surety that one would not suffer on the occurrence of a peril. The primary concept is ‘insurance is against uncertainties’. When it comes to Personal Insurances, some concepts might differ ~ there cannot be the concept of ‘indemnity’ – at best there can be monetary support to the extent of Sum(s) assured. 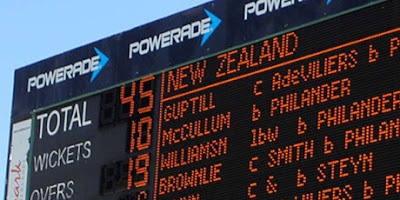 Again many a times, the policy holder may not be the recipient of the assured money…………..
Cricket is a game of glorious uncertainties.. the year started rather badly for Black Caps as on Jan 3, at Capetown they were bundled out for a paltry 45. Kiwis lasted only 19.2 overs as Vernon Philander completed figures of five for seven. Morne Morkel and Dale Steyn cleaned up the tail. Statistically, the score of 45 was their 3rd worst and 12th worst in test history. It is New Zealand's lowest total in 66 years since the 1946 side were bowled out for just 42 against Australia at the Basin Reserve. It is the worst team total in all of test cricket in the last 39 years since India were bowled out for 42 in 1974. While many curse IPL for most of India’s woes, IPL platform has enthused Srilankan league, Bangla league and now Pakistan Super League, where it is stated that players like Nasir Jamshed could earn over $100,000 tax free in the 10-day Pakistan Super League. Obviously no Indians, Bangladesh had even opted out of an official tour – for the locals the Pakistan Super League is set to become the latest money-spinning Twenty20 competition; English players have again be warned against participating. The PSL is scheduled to be launched on March 26 and could be worth more than $100 million according to organizers. Cricinfo reports that Pakistan have offered an insurance policy of $2 million and tax-free income for foreign cricketers who are thinking of participating in the Pakistan Super League (PSL). Pakistan have not hosted international cricket since terrorists attacked the Sri Lankan team bus in Lahore in March 2009. Since then they have had to play their "home" matches at offshore venues such as England and the UAE. In some way, it is not pure money but a strategic move by PCB to win back the confidence of cricketing nations. So at a time, when individual players have concern of safety, PCB is trying to offer sense of security by way of an optional insurance policy worth $2 million for the satisfaction of their families. PCB stated that the visiting players will be their special guests and they would ensure security at a higher level and … provide insurance option as well. Cricket operations in Pakistan aren't tax exempted but the PCB is offering residential and non-residential players tax-free income from the PSL. They are trying to promote the League in all manner and recently, the former ICC Chief Haroon Lorgat had special words of praise for the league. Each team in PSL is allowed to sign a maximum of six overseas players and would include 10 local cricketers plus two emerging players. The tournament would be played over 15 days between five teams and would involve a total of 23 matches for the first three years. The matches will be played at a single venue, with teams playing each other twice in a league format before the top four teams qualify for semi-finals. 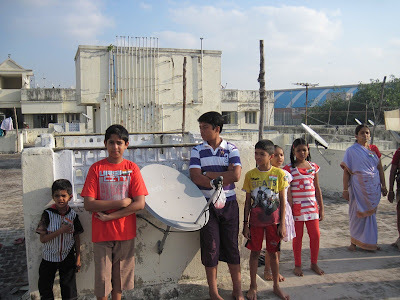 Slumdog Millionaire was a film and it would remain a mirage for those in slums to get anywhere near riches… with my little knowledge, I have seen slums in every Indian city I visited, but in Mumbai there were two tier slums… !!! Living conditions have a direct impact on public health. One of the problems faced by City administrators with proliferation of slums in urban areas is the host of health hazards that they bring along in their wake. The concept of slums and its definition vary from country to country depending upon the socio-economic conditions of society. The basic characteristics of slums are - dilapidated housing structures, poor ventilation, acute over-crowding, inadequate lighting, paucity of safe drinking water, water logging during rains, absence of toilet facilities and the like. The legal definition would differ from State to State. ‘Slums’ have been defined under Section 3 of the Slum Areas (Improvement and Clearance) Act, 1956 as areas where buildings :- are in any respect unfit for human habitation; are by reason of dilapidation, overcrowding, faulty arrangement and design of such buildings, narrowness or faulty arrangement of streets, lack of ventilation, light, sanitation facilities or any combination of these factors which are detrimental to safety, health and morals. Added to all these woes, many a times, slums go up on fire…. Today there are reports that around 3000 houses of slum dwellers in Mahim, Mumbai were gutted by a fire. An India TV report says that the fire in the Naya Nagar slum locality, a densely located area housing several wood godowns, was first noticed between 4 am and 4.30 am. 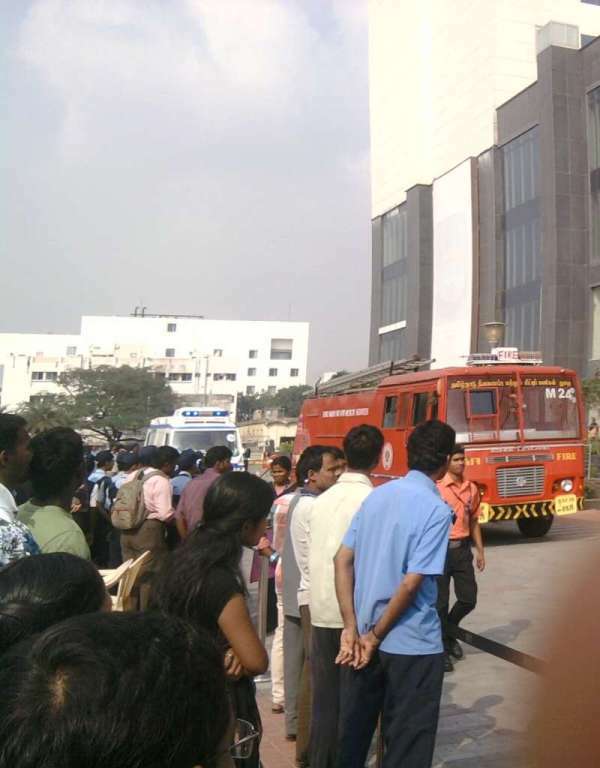 It is reported that 11 engines fought fire; cause of fire is not ascertained and no casualties have been reported so far. The film Nayagan brought to fore the slum-dwellers of Dharavi and Varadharaja Mudaliar. Understand that it was once the largest slum in Mumbai; but as of now there are more slums larger than dharavi. at one time, but as of 2011, there are four slums in Mumbai. The slum in Mahim is perhaps one such ~ Mahim has a railway station too. Mahim was one of the seven islands that originally made up Mumbai. Mahim, or Mahikawati as it was known, was the capital of Raja Bhimdev, who reigned over the region in the 13th century. Slum fires are worst as they wipe out whatever little property that the dwellers have gathered in their lifetime. They may not even have another dress to change. Have been associated with an Organisation in Chennai known as Rajasthan Cosmo Club, who collect used clothes, mend them, clean and keep them packed according to size, looking as if they are new. This Organisation springs to visit the slums affected by fire, offering clothes to the affected dwellers, which certainly is a great service. On a different plane, there was this news in The Hindu that officials of Chennai Collectorate intervened in time to stop the marriage of a 16-year-old girl, after complaints from her neighbours. The news item stated that was more of an exception as child marriages are quite the norm in many of the city’s slums. 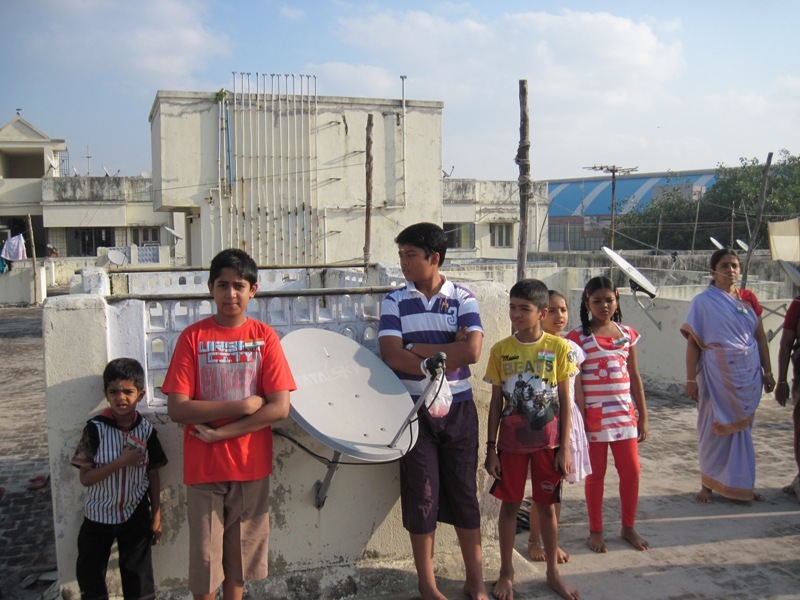 Srinivas Youngmens Association, popularly known as SYMA has been in the field of Social service since 1977. We have a Medical Centre providing consultation @ Rs.2/- and free medicines to poor patients from 5 pm to 7 pm on all days excluding Sundays and National holidays. We run a Educational Tuition centre titled ‘SYMA Growth’ providing free tuition centre for 2 hours on all days of week. We have been actively engaged in various other activities including provision of free uniforms, educational aid, health camps, blood donation, environmental cleanliness, civic programmes and more. 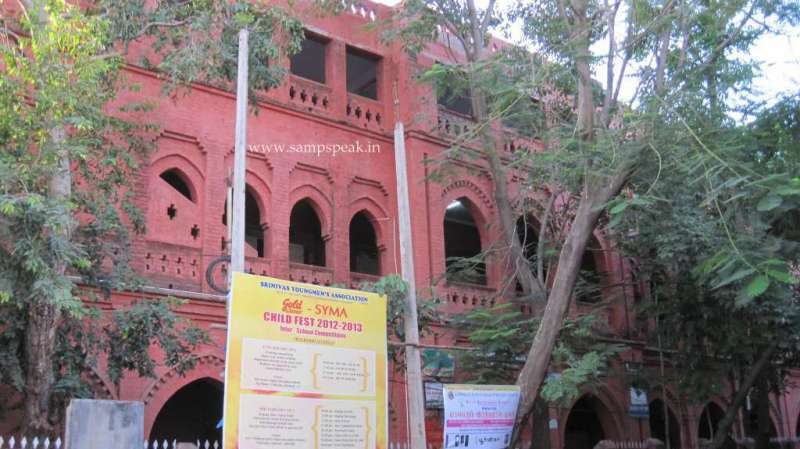 It was indeed a happy moment for SYMA with so many children participating in the Drawing Competitions held at The Hindu High School, Big Street, Triplicane, Chennai 600 005 today [Sunday, 27th Jan 2013]. Here are the Winners of the Group…. Prizes will be distributed at the Special Function to be held @ 06.30 pm on Sunday, 3rd Feb 2013 at NKT National Girls High School, Besant Road, Triplicane, Chennai 600 005. The winners are requested to be present at the venue at least one hour in advance. Congratulations to all of you………… Welcome you to Prize Distribution Function. Wishing to be with you ~~ SYMA in the field of Social service. For all further enquiries contact : 044 – 28441078 / or e-mail us at : srinivasyoungmensassociation@yahoo.co.in. Capital punishment ~ heard of Topsy ?!? Sairaj Bahutule retires..... Sanjay Bangar too..